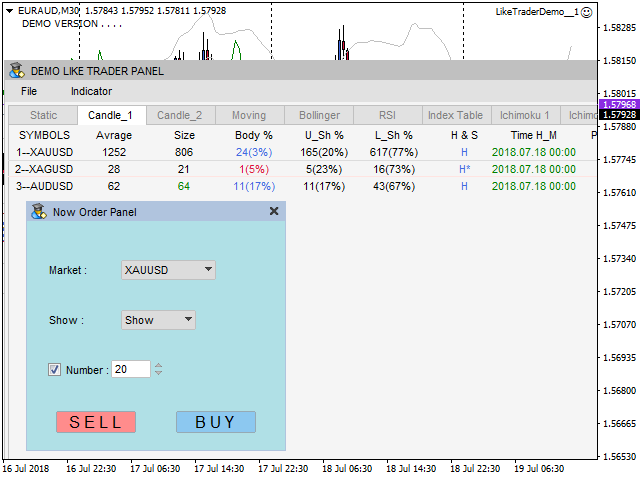 Like Trader is so planned that several technical analyses in all symbols in the table of Like Trader are at the disposal of the trader simultaneously. 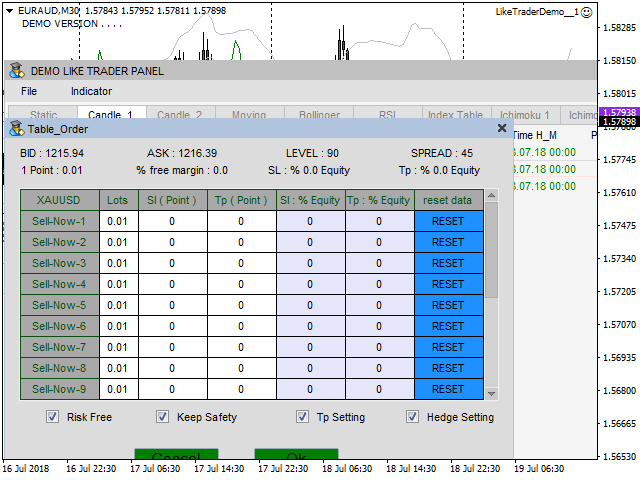 In fact, limit free in the timeframes and the special mode are so planned that the trader can use output information with costume setting. The maximum Symbol used in the demo version is three. The number of orders taken by Expert is limited to 20. Changes are not saved in the demo version. Index Table: (The value of a currency in comparison with other currencies). Terminal: (You can manage your open trading and pending order). Max- Min: (It determines the most important resistance and support lines in any time frame). Area: (It shows the area of buying and selling). Management of position for profit is done in different ways which is introduced as Keep Safety profit. To open different positions simultaneously. 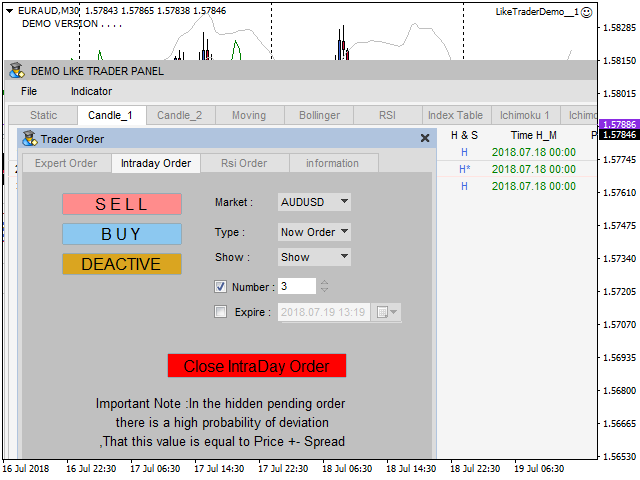 (both instant trading and pending order one). 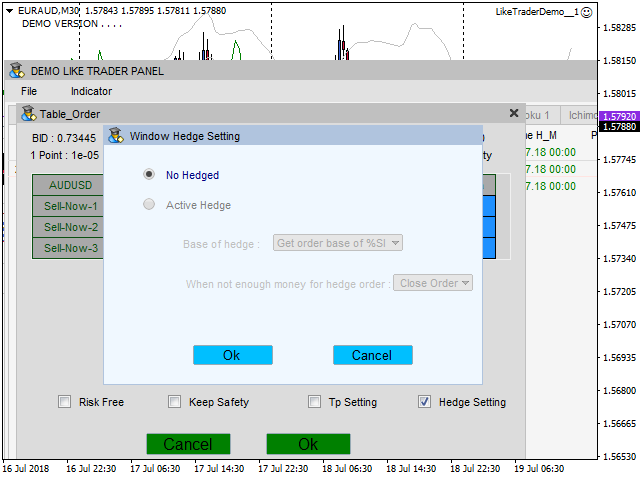 To use unique strategies in order to open new positions such as Minim Lot, Percentage Strategy, ATR Strategy, RSI Strategy. 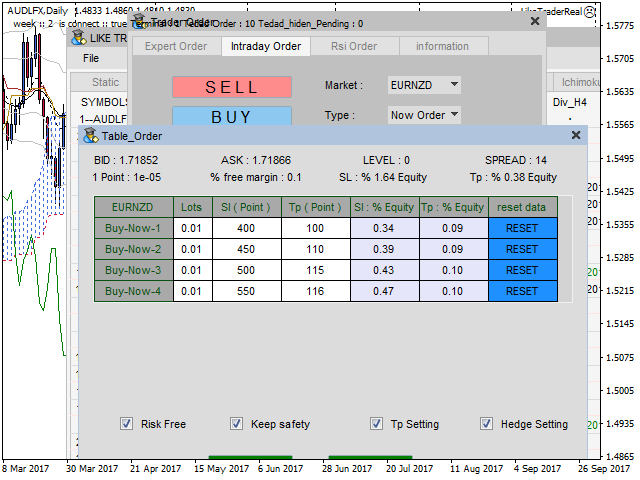 To close opened positions in different modes, such as loss and profit position, or all opened positions, RSI position, Intraday position. 1. Make optimal changes in Max-Mintab. 2. Add a new column inMax-Mintab. 4. Improve the process of operation . 5. Speed up personalization changes. 1 - Tab candleStick and Atr indicator . 2 - Tab Moving and Ma-1 and Ma-2 . 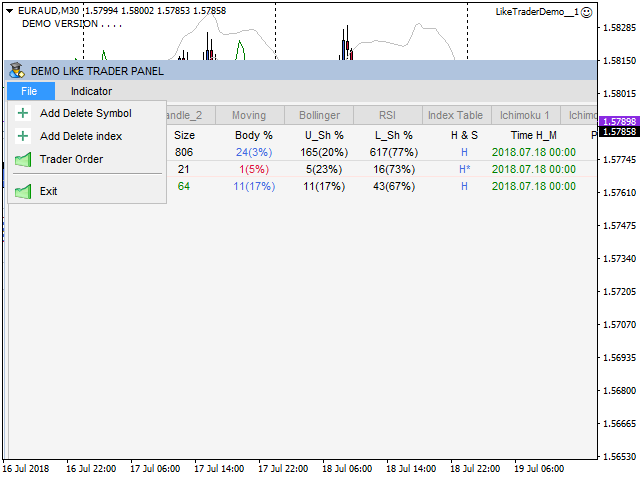 3 - Rsi indicator . 1 . 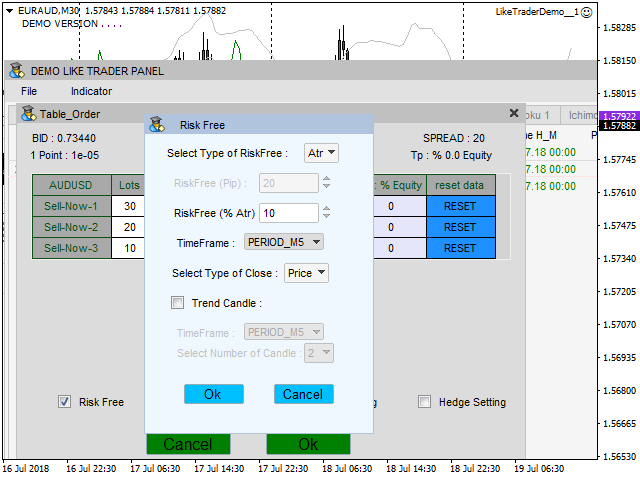 Optimize RiskFree and Trailing Stop performance . 2 . Insert help option in the file menu . 1 . Improve performance in the index tab. 2 . 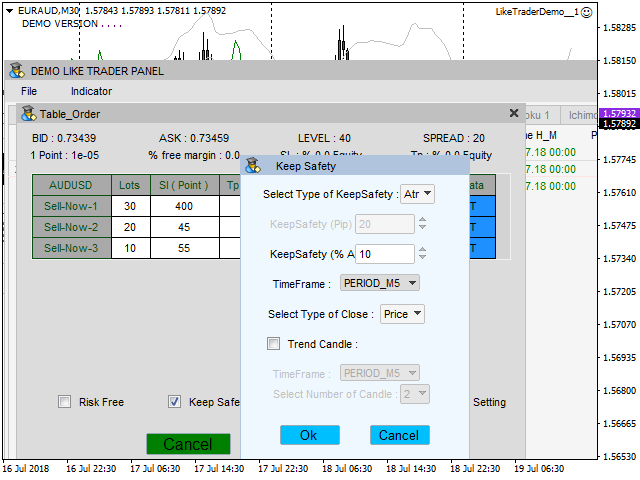 In the Max and Min tab , clicking on the frame time will apply the changes column ( Max Free and Min Free). 3 . Better displaying support and resistance in the Ichimoku tab.